For nearly a decade, KGS Construction had built a legacy as “the owner’s choice in roofing and restoration.” KGS serves as a partner to building owners and property managers that need an elite, responsive team of experts to repair, restore and provide waterproofing protection for commercial properties. 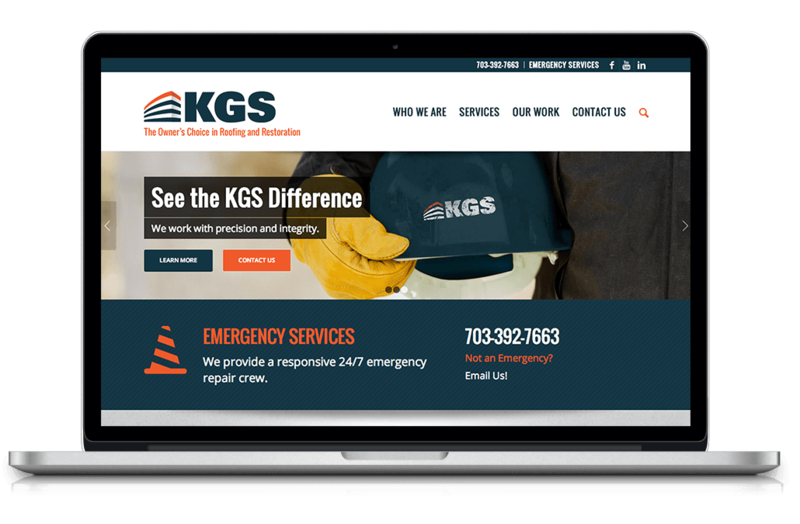 In the Washington, DC metro region, there are numerous companies that offer roofing and restoration services, but KGS’ approach is different. The KGS approach leverages technology, commitment and expertise in a way competitive firms can’t match, however, KGS’ existing digital brand did not distinguish the company, or showcase these qualities. KGS executives sought to grow the business and expand beyond the region and build a scalable brand to enable this growth. KGS leaders turned to trusted partner Borenstein Group to design a strategic digital brand that enabled growth. Borenstein Group team began by outlining an actionable strategy, based on research, with clear project milestones to bring the new brand to life. After conducting competitive analysis and interviewing key leaders in the company, team BG helped KGS outline a unique service methodology that offered value to clients, and was scalable for future growth. Borenstein Group developed a bold and confident new logo, and a visual identity that reflects the company’s advanced capabilities. In addition, Borenstein designed, wrote and developed a new responsive website, complete with interactive content and video elements. The project also included a trade show booth and company video. 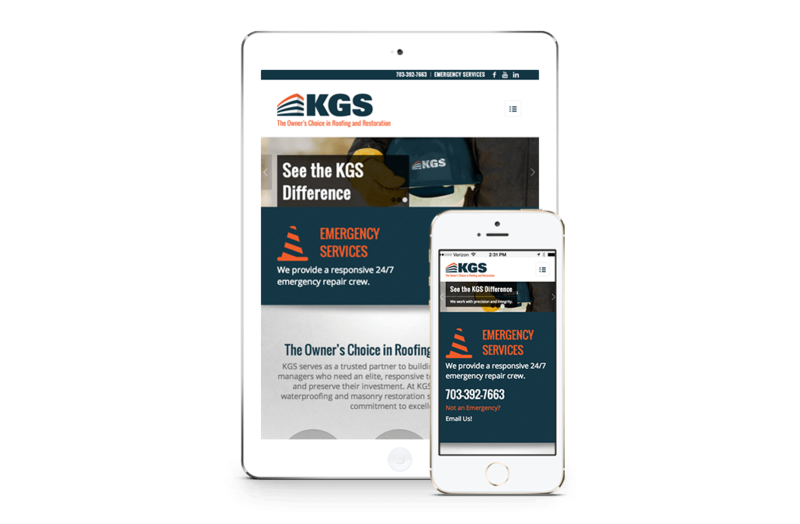 As a result of Borenstein Group’s strategic digital branding, KGS Construction is positioned for scalable growth. KGS has continued to thrive and earn new business serving commercial property managers and real estate professionals across the DMV area and beyond. KGS now has a bold and confident digital brand that accurately conveys the company’s key expertise, along with a suite of branded collateral to ensure potential clients interact with a brand that demonstrates the same level of precision and quality that KGS craftsman deliver every day.